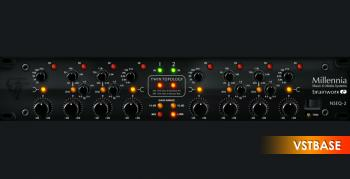 The Millennia NSEQ-2 is a go-to parametric EQ for many of the world’s leading studios and mastering houses. Its unique Twin Topology design and pure Class A transformer-less circuitry offers a simplicity which yields a powerful, sonically neutral, analog EQ. The plugin version of the Millennia NSEQ-2 is a faithful digital model of this remarkable piece of ultra high-end hardware, brought to you by the modeling experts of Brainworx. This brings a state-of-the-art boutique EQ to your DAW. The Millennia NSEQ-2 plugin also includes features not found in the hardware version, including M/S processing.